Ana Teresa Fernández, an artist born in Tampico, Mexico who studied in San Francisco, California and Lausanne, Switzerland, is known for her ability to make a powerful statement. Her statement is especially strong when it comes to the politics of space and place. 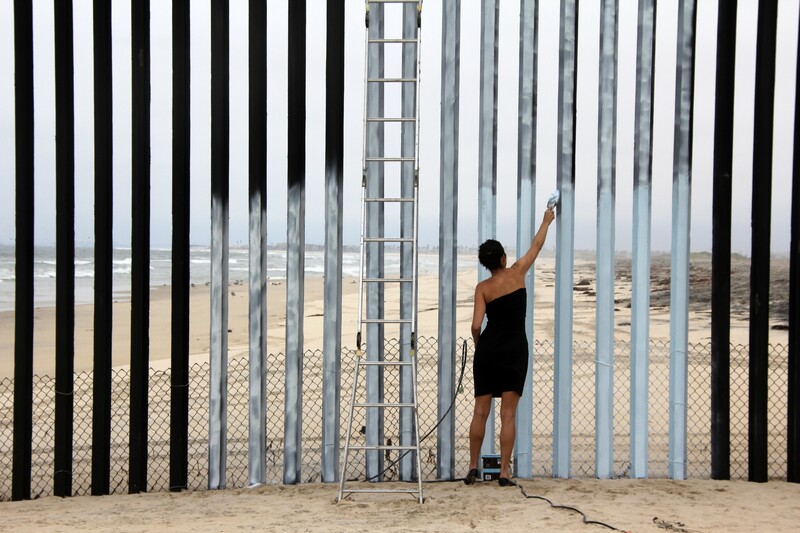 Her piece, “Erasing the Border” is one of her most commanding works in which alongside a number of other artists, residents, students and activists, she led an attack against the Mexico-US border wall, with the goal of “erasing” sections of the border. Sections of the fence were painted by Fernández to match the vast sky so that when viewed from afar there is the illusion of gaps in the fence. This appearance of a broken link, a useless border, is an effective statement on the arbitrary concept of borders separating place from place. 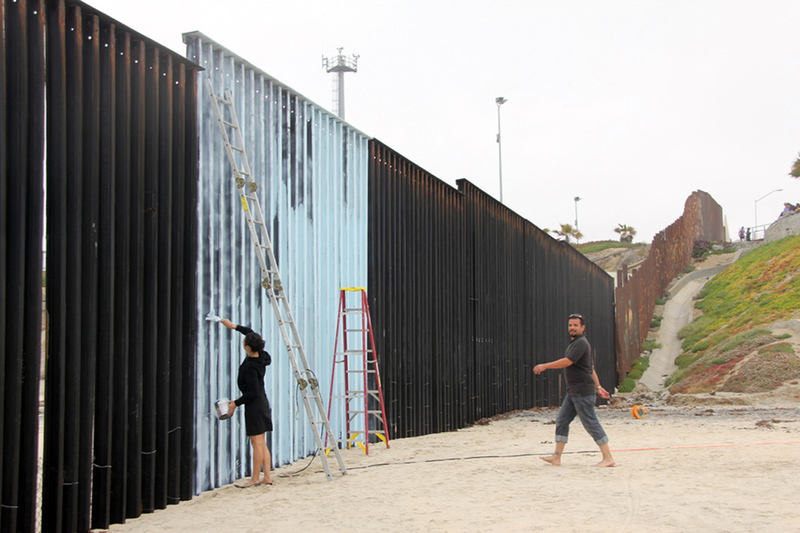 Fernández has been erasing the border wall in her series of installations “Borrando la Frontera” (Erasing the Border), beginning in 2011, where she erased a wall in Tijuana, Baja California. Prior to this, she did a series of performance pieces near the border. She chose to use her art to breakdown the jail bars that impeded the sight of those in the border town by allowing people to see what it would look like if the bars didn’t run down the beach breaking up the scenery. From a distance, the landscape is continuous, not broken apart by the intrusive fence. As word of her work began to spread, more and more artists, locals, and border organizations wanted to be part of her project. They too wanted to make a statement and wanted to see the sections of border fences erased in Texas and Arizona. Texas and Arizona were politically charged sites in particular as they have recently passed a series of severe anti-immigration laws and vigilante militias enacting violence and inciting fear at the border. The work of Fernández is especially meaningful now, as there is a new president-elect, Donald Trump, who has built a winning campaign around threats to extend and raise the wall to block immigrants1. Thus, her work becomes an even more powerful statement, in how she opens up the border and unlocks our imaginations, bringing us to a more open and inclusive world; one where we do not fear our neighbors and try to keep them away. At her most recent event, groups came to the three sections of the fence in Mexicali, Baja California; Agua Prieta, Sonora, and; Ciudad Juárez, Chihuahua to erase the border. Groups from both Mexico and the U.S came to each site at the same time, as a planned attack, and began to paint and erase the fence. 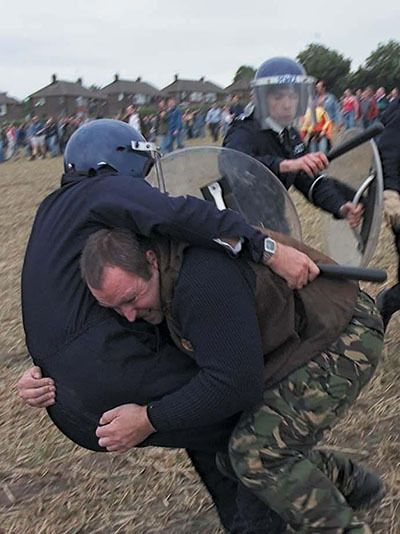 This unified people on both sides of the divide, effectively making the purpose of the fence (to separate people) mute. 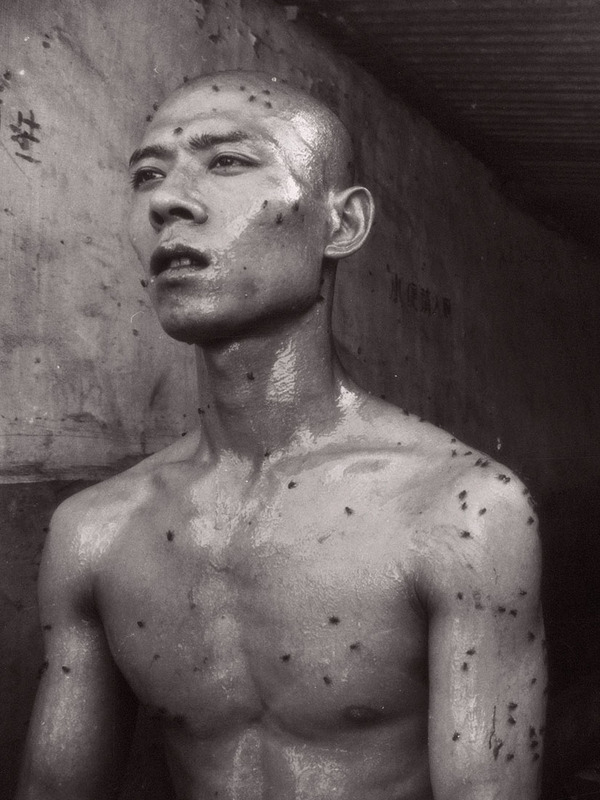 Through her work, Ana Teresa Fernández proves that art is an effective political tool, a weapon even. One that can bring people together, bring freedom, and make a remarkable statement. All images by Ana Teresa Fernández/anateresafernandez.com unless otherwise noted. 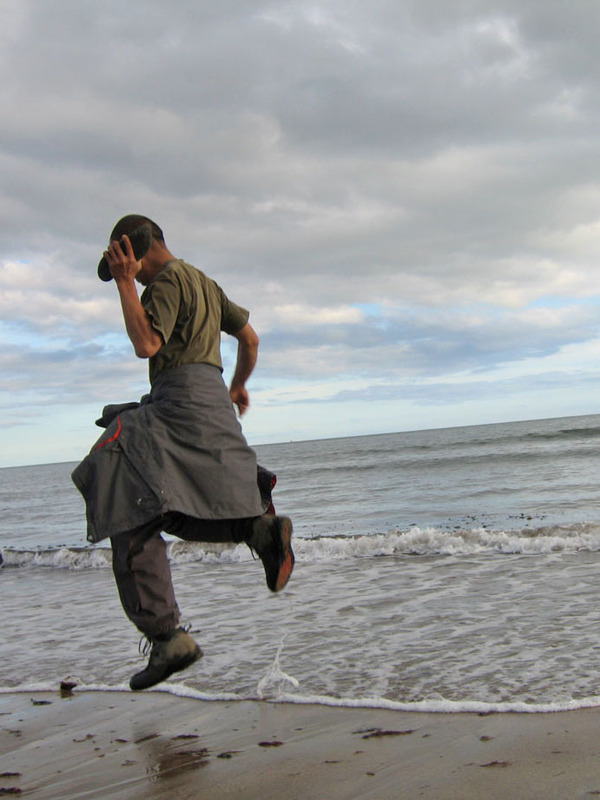 Posted on November 18, 2016	in the category Performance and tagged 2012, 2015, 2016, Ana Teresa Fernandez, Art in USA, border, collaborative, invisible, Mexicali, Mexico, Nogales, performance art, Tijuana. One Response to "This is how Ana Teresa Fernández erased the US-Mexico border"